A friend of mine, knowing that I just started a cat blog, sent me the above invitation a couple days ago. Not knowing anything about Creatures of Comfort or United Bamboo, all I saw were the words ‘CAT CALENDAR PARTY’. I got very excited. Very, very excited. I tried to get pretty much all of my friends to go with me to what was sure to be a magical night. Unfortunately, no one could. Whatever. I’ll go on this amazing journey alone. Thursday morning I spent about 20 minutes trying to decide the perfect cat themed outfit. I’m crazy that way. Unfortunately, no one at the party saw my awesome fashion because I only spent about 20 minutes at the party. Apparently, Creatures of Comfort and United Bamboo are clothing companies. Very high end clothing companies. I had no idea. I walked in expecting to see little cats in outfits every where, but just saw a bunch of people way richer than I shopping for clothes that cost the same amount I pay in rent. No biggie. On a small tour of the shop, I did spot this guy, though. His name is Q (I forgot to ask the owner whether she was a big Star Trek fan or a big James Bond fan), and he is 12yrs young. 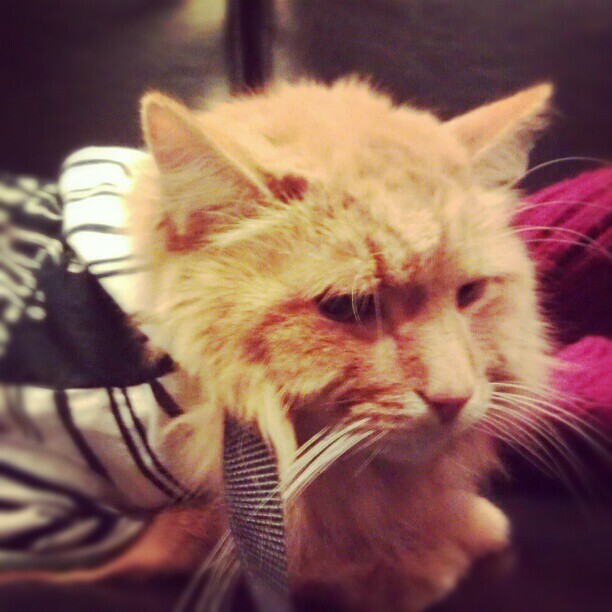 He was sporting a lovely little hoodie, and was chilling on the couch all on his own. He is possibly the most chill cat I have ever seen. The owner eventually picked him up, and swung him over her shoulders where he just sat. No complaining from this little guy. After saying goodbye to Q, I wandered over to the area where they were actually selling the calendar. The calendar was being sold for $48, so it was out of my price range, but it was gorgeous! Triple thick pages bound together gives the calendar more of a book feel than something you could buy at a mall kiosk. The photos were just amazing, too. I found out later that all the little outfits the cats were wearing where actually outfits United Bamboo sells to humans. Very cute. Since I couldn’t afford the calendar, and am painfully shy in crowds, I took my free poster and left. Once I got home and looked at the poster, I discovered it was this piece of amazingness. I also found this great behind the scenes video from The Stylish. 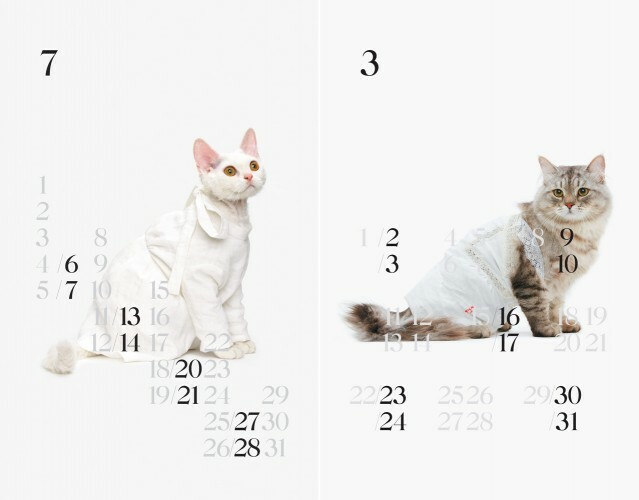 If you would like a cat calendar of your very own, they are for sale over at UnitedBamboo.com. Just $45! 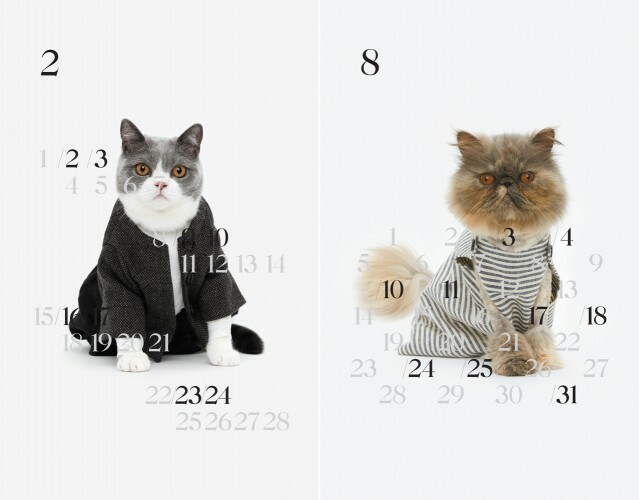 You can also find all the fashions from the calendar available for your cat on the website! 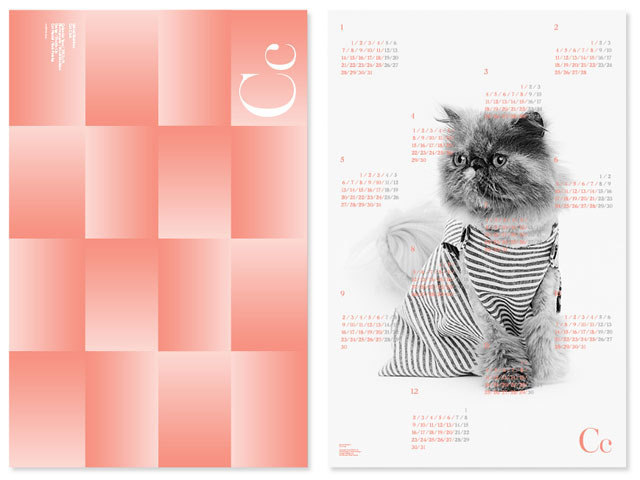 PLUS, grab the 2010 and 2011 cat calendars for the discounted price of $20! Awesome.